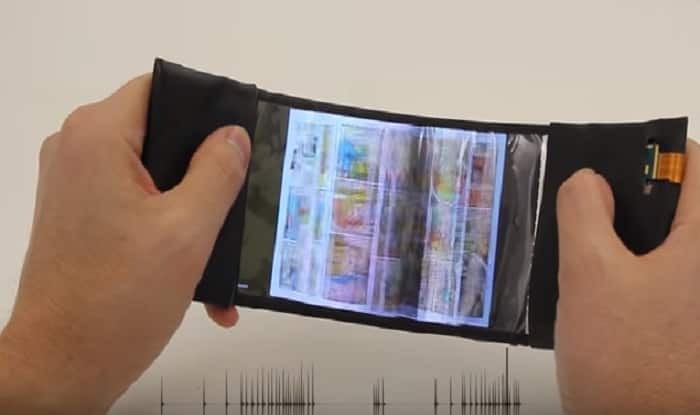 The ReFlex bendyphone is going to change your smartphone experience drastically. It is a reality now. The full functional flexible smartphone is a complete paradigm shift in the world of smartphone user experience. It has been developed by researchers at Human Media Lab, Queen’s University, Canada. It has already created a global stir. There will be a greater perceptible experience in e-reading and gaming on these smartphones. All this is based on the technology based on which it has been designed. When you bend down ReFlex flexible smartphone on your right while reading an e-book on it, pages will start flipping through the fingers from right to left. It will be an experience just like it happens in the physical word when you do the same with a print version of a book. The extent of the bend will decide the flipping speed of pages. This will get users a wonderful experience to feel the sensation of the page as if moving through their fingertips. This happens through creating vibrations in the phone that brings this kind of feeling. The higher bending will increase the frequency of these vibrations. Lowering the bending will decrease the frequency of vibrations. Roel Vertegaal, Director, Human Media Lab, Queen’s University is spearheading this project. A recent formal announcement made by Roel in this regard confirmed the successful story of ReFlex bendyphones. This will entirely be a different experience of reading e-books on these devices. There will be eyes-free navigation that will make it easy for users to bookmark a page in the middle of their reading. The user will find it more comfortable to keep track of where they were in the e-book. This success story about ReFlex bendphone will certainly open new avenues of research in technology and mobility. The practical acceptability and usability are yet to be established. The development and design are done. Now it is the time to launch the device. Higher acceptability will depend on the enhanced user experience what is being claimed by the Human Media Lab, Queen’s University. There would be a high disruption in further developments in mobile device technology. It will also introduce a high interactive e-reading experience. This will bring a sea-change in the reading preferences of book lovers worldwide. When you start getting a far more book-like experience with your e-reading gadget, it will shrink the gap between e-book reading and physical book reading. It will enhance the current screen technology experience to a real-life experience. Queen’s University released the ReFlex prototype during the tenth anniversary conference on Tangible Embedded and Embodied Interaction (TEI) conference that held in Eindhoven, The Netherlands on February 17. Once a fully functioning prototype is released, the mass production is not too far. 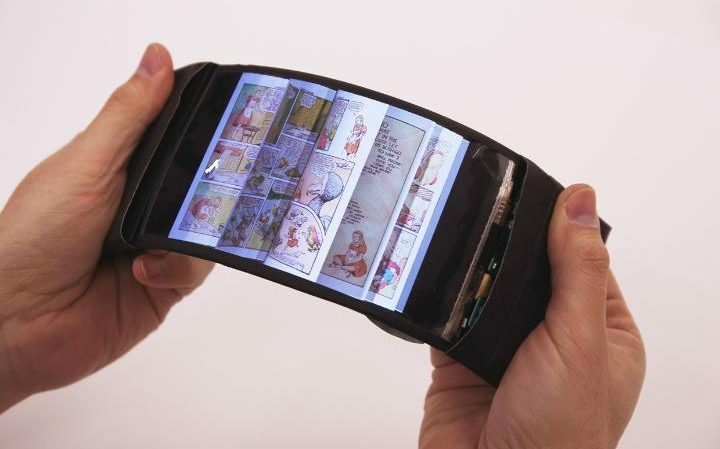 Probably we would be buying ReFlex Bendyphone, a fully flexible smartphone in next couple of years.